Hercule Poirot is one of the most fascinating and enduring characters in detective fiction. He made his debut in The Mysterious Affair At Styles and continued to appear in fiction for fifty-five years, with his last appearance coming in Curtain which was published in 1975. Poirot is Belgian (not French as is often assumed by those who meet him for the first time.) He fled Belgium during the First World War and became a fixture in England, often providing aid to the British Government. Poirot is a striking character. He five foot two inches tall, immaculately dressed, obsessive compulsive, brilliant, egotistical, and compassionate. Poirot has been portrayed on the screen by many actors on the stage, the first being Charles Laughton. On screen, he was portrayed by Austin Trevor, Albert Finney, and Peter Ustinov. In 1989, David Suchet took on the role and has so far portrayed Poirot in sixty-five programs over ITV, with five more films set to complete the series in 2012 and is viewed by most as the definitive Poirot. Poirot garnered much popularity early in the United States leading to several radio adaptations. The first radio adaptation of Poirot was a 1939 adaptation of The Murder of Roger Akroyd over the Campbell’s Playhouse with Orson Welles. In 1942 and ’43 when WOR produced Murder Clinic, which adapted popular detective stories, three Poirot short stories were chosen for adaptation. In 1945, Mutual brought Poirot to air in his own series starring Harold Huber. Like with Mutual’s Father Brown series, Poirot was transported across the Atlantic to New York City. The show starred Harold Huber and lasted one season. It moved to CBS where it became a fifteen minute serial airing Monday-Friday that lasted two season. Neither of these series adapted Christie stories, but as was the case with adventures of Nick Carter and most other detective heroes, these radio adventures represented new cases for the Belgian detective’s little gray cells. 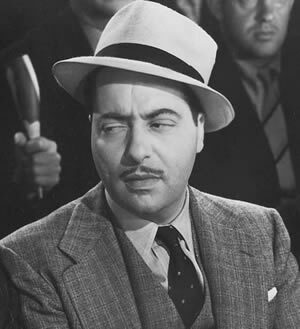 Harold Huber (1909-59): Star of screen, radio, stage, and television known best for his appearance in Charlie Chan films in the 1930s. He continued to play character roles until his death, appearing often on television. His last roles included appearances on the Phil Silvers Show and the syndicated series, Decoy. Log information Courtesy of Digital Deli.